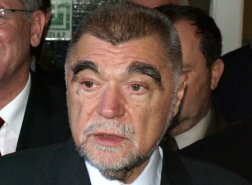 Mesić said he will improve the economic cooperation of the two countries during his visit to Japan. "Croatia and Japan have realised excellent cooperation and have no open issues, but unfortunately we have not used the potentials of either country," said Croatian President Stjepan Mesić yesterday, after Koto Shakuhacki Quintet's concert of traditional Japanese music, marking the 15th anniversary of diplomatic relations between Croatia and Japan. Mesić expressed satisfaction with the cultural cooperation, reminding of excellent performances by the Lado ensemble in Japan and the successful Croatian performance at the EXPO 2005 world show. However, he expressed dissatisfaction with the fact that Croatian economy has still not discovered Japan as its market. - But not even the Japanese people have not fully discovered Croatia - Mesić assessed, adding that they visit France, Germany, England but not enough come to the Adriatic. The Japanese Ambassador in Croatia Tetsuhisa Shirakawa agreed with the Croatian president that economic cooperation is not satisfactory, but he has expressed hope it will improve after Mesić's visit. He pointed out that upon his visit to Japan, Mesić will participate in the Croatian economic forum and hold several meetings with presidents of a few large companies, as well as have a working lunch with the members of the Japanese Chamber of Commerce. When asked which Croatian products might be successful in Japan, Ambassador Shirakawa said it might be the wine. - After coming to Croatia, I have discovered that Croatian wine is very good - the ambassador said, adding that Croatia's problem is that it lacks the sufficient amount for export.